The MG range in Thailand gets a new member in the GS SUV, which made its public debut at the ongoing 2016 Bangkok Motor Show. The GS – which first broke cover in Shanghai last April before going on sale in its home market later in 2015 – joins the MG 6, MG 5 and entry-level MG 3 hatchback in the Land of Smiles. The GS SUV powered by a 2.0 litre 4E turbocharged engine offering 218 PS at 5,300 rpm and 350 Nm from 2,500 to 4,000 rpm, and the E85-capable GDI petrol unit is paired with a six-speed Sportronic dual-clutch transmission. 0-100 km/h is done in a pretty brisk 8.2 seconds. 2WD and 4WD variants are available. A turbocharged engine and DCT helps the “Diamond Flow Design” MG stand out in segment dominated by the Honda CR-V and Mazda CX-5. The GS is 4,500 mm long and 1,855 mm wide, which makes it 55 mm shorter than a CX-5 but 15 mm wider. The kit list is generous, and standard equipment includes LED DRLs and tail lamps, cruise control, automatic air con with rear air vents, keyless entry with push-start ignition, electronic parking brake, six-way power-adjustable driver’s seat and 18-inch two-tone alloys wrapped with 235/50 series tyres. The GS also features an eight-speaker entertainment system with an eight-inch touchscreen, navigation and 16GB of built-in storage. There’s also an InkaNet app that displays a variety of information and status of the GS on owners’ smartphones. The range topping AWD adds on extra bits such as HID headlamps with washers, steering wheel paddle shifters and a four-way power-adjustable front passenger seat, plus roof rails and an electric sunroof. The brown car below is the 2WD and the orange one AWD. As for safety equipment, the GS comes with front and side airbags, ABS with EBD, electronic stability control as well as traction control. Also in are Isofix mounts and a hill-start assist system. The GS is priced at 1.21 million baht (RM138,317) for the 2WD and 1.31 million baht (RM149,748) for the AWD. Proton only afford to rebadge Suzuki Vitara. Pathetic. Since when vitara will be rebadged? i really hope some day MG could make it to Malaysia. should be able to make some grounds here. This is SAIC MG’s best car yet. Already, it’s a top seller for them in China. It’s not ‘there’ yet, but who cares when it’s that cheap ? 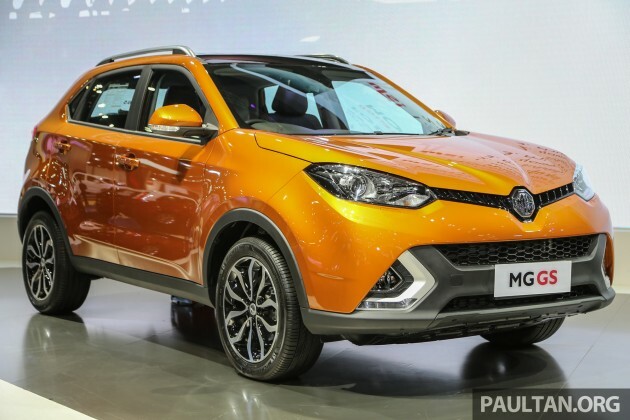 MG is bringing this to the U.K., like the MG3 and MG6 before it. We’ll see how it fares there, both in reviews and sales. So far, SAIC MG has not made any real waves there, but they’re doing ok in some less competitive markets in Eastern Europe, South America and Thailand surprisingly. 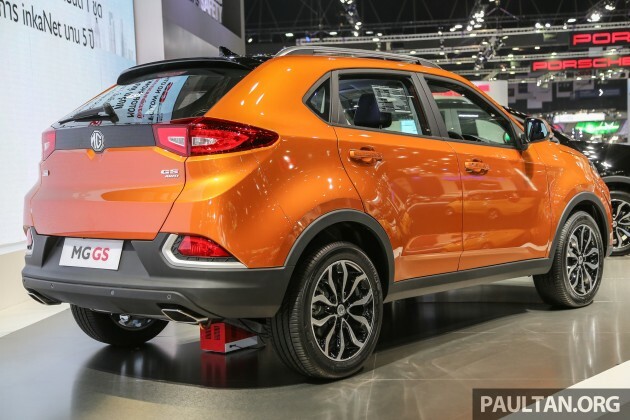 If and when the MG GS gets here, it will definitely make some news. It’s success will be almost wholly dependant on pricing. Last time I heard, they’re building an assembly plant in Klang, but that was quite some time ago. If that didn’t work, then I’m guessing MG will export CBUs from Thailand, but that will raise prices a bit. Good luck to them.